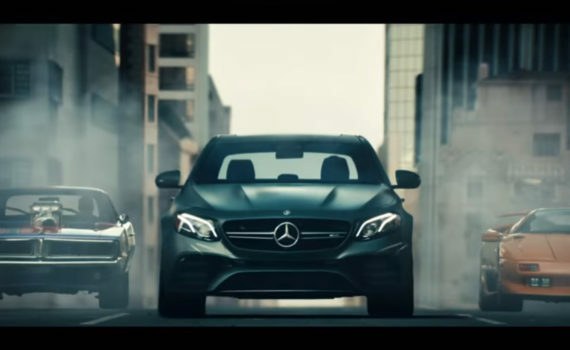 Mercedes-Benz has introduced the newest and fastest E-Class ever, the 2018 Mercedes-AMG E63 S Sedan, featured in their latest commercial, “Off the Line”. Action Vehicle Engineering was pleased to search and source all of these fast rides! From vehicle wrapping, to transportation and on set prep, the crew at AVE can bring it all together. This thrilling 603-horsepower V8 biturbo engine and 627 pound-feet of torque can go from 0 to 60 in 3.3 seconds. Coming in Fall 2017.